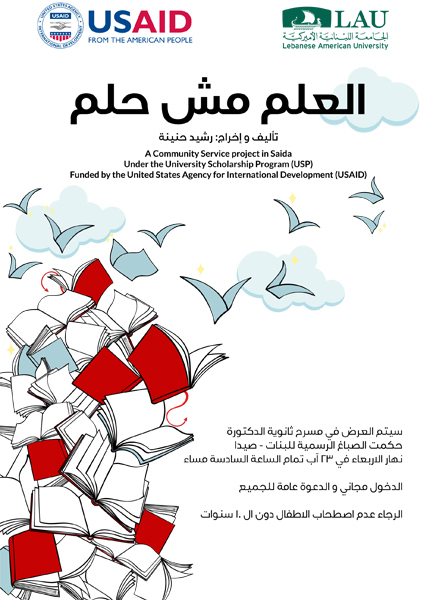 The USAID University Scholarship Program (USP VII) scholars are organizing a play called “العلم مش حلم” as part of a community service project in Sidon. All are welcome to attend. You are kindly requested not to bring kids under 10 years of age.